Pahang is located in the eastern coastal region in the Peninsular and is also the largest state in the Peninsular. 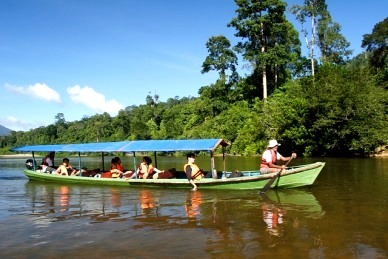 Pahang has a tropical climate like other parts of the Peninsular with a year-round of humidity of no less than 75%. Its temperature ranges from 27'C to 35'C depending on the locality of the area as well. Levels of humidity are affected especially during the northeast monsoon which takes place from November to February each year. Heavy rains and thunderstorms are common during this period of time. Due to strong winds and tides, it is not advisable to visit the beaches in Pahang during this period. Other than these few months, it would be suitable to visit Pahang's beaches. Kuantan is the capital city of Pahang. It is a town which is famous for its production of handicrafts, batik and as well as local snacks like the dried fish crackers and salted fish. Other than shopping for handicrafts, there are other shopping malls in the town as well. 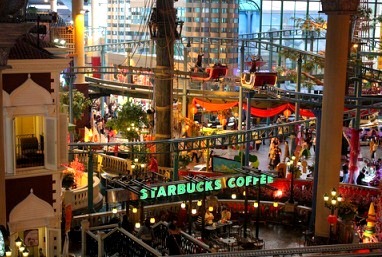 The East Coast Mall is one of the biggest malls in town. There is also the multi-storey Berjaya Megamall in Kuantan. The other would be the Kuantan Parade. Another place to do your shopping would be at the Kuantan Stadium where there is a market that sells local delights as well as fresh groceries like vegetables, fruits and poultry. There is also a similar market near the lake at Taman Gelora on Sunday evenings. Also, at Bukit Tinggi, you can do some retail therapy as well. There are two souvenir shops there which offers various items that you can buy to commemorate your visit to Pahang. Pahang has various local delicacies that will tantalize your taste buds. Their aromas and tastes will definitely be an experience you will never forget. The local Laksa Pahang is a delicious and mouth-watering meat and noodle dish that you should try. Also, there is the Nasi Periuk Kera which is rice cooked in pitcher plants. This may sound weird but it is indeed a specialty among the indigenous community. Pahang is also popular for its local keropok lekor or fish crackers. There are also desserts like pudding diraja and akok beserah . 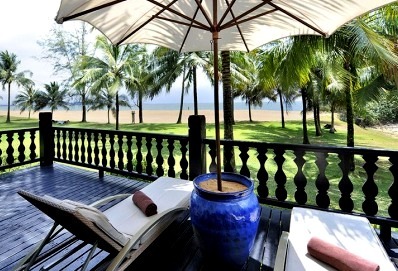 Around the areas of Cherating, there are many restaurants serving fresh seafood that is cooked in a variety of styles. If you love to eat the catfish, you should drop by at Termeloh. Other good places to eat in Pahang would be Ok Tuck Steamboat (Cameron Highlands), Restauran Pak Su (Kuantan), Ana Ikan Bakar Petai, Bukit Tinggi BBQ and Restauran Hoi Yin (Kuantan). One of the places that one must visit when in Pahang is the Taman Negara. It is one of the oldest rainforests in the world which dates back to more than 130 million years ago. It is the premier national park and is also the largest in Malaysia at a staggering 4343 square kilometers. The park is the haven for thousands of species of flora and fauna. While being here, you will be able to see animals like the sun bears, long tailed macaques, white gibbons, deers, tapirs and many more. The Tahan Trenggan trail, Neram trail and Bukit Teresak loops are the trails to venture the park. Cave explorer enthusiasts will find the Gua Daun Menari and Gua Telinga a delightful exploration trail. Another frequently visited place in Pahang would be Bukit Tinggi. Bukit Tinggi is about an hour's drive from Kuala Lumpur and is located about 2500 feet above sea level. 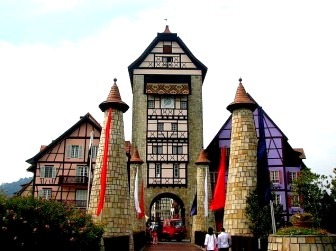 One interesting place in Bukit Tinggi is the Colmar Tropicale which is a replica of a collection of buildings from a north eastern village in France which dates back to the 16th century. 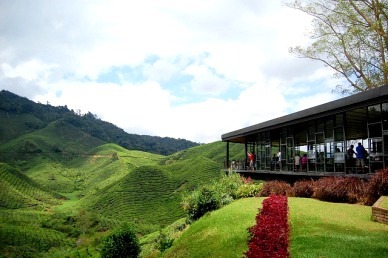 Other famous places in Pahang would be the Genting Highlands where you can either enjoy at the theme parks or try your luck as some gambling. Turtle watching is also another favorite activity to do here in Pahang. The public transport in the east coast is not as well connected like in the west. The means of public transport that you can opt for is the taxi or the bus. It would be much more convenient if you have your own car. If you do not, there are many cars for rent in Pahang.